Providing the highest quality services to Idaho's legal community since 1970, M&M Court Reporting is dedicated to ensuring that your deposition experience is the best it can be. Using cutting-edge technology, M&M's experienced, dependable reporters and litigation support staff repeatedly perform above and beyond expectations to maintain the standard of excellence built on hard work and dedication to meet the ever-changing demands in litigation and document management. M&M provides accurate depositions, prompt court reporters and courteous litigation support services in a wide variety of litigation-related fields. Through contacts in related industries, M&M can assist you in finding solutions to your most complex needs. 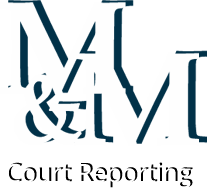 M&M Court Reporting provides Idaho court reporting services with court reporters in Boise, Nampa, Caldwell, Twin Falls, Sun Valley, Pocatello, Idaho Falls, Moscow, Coeur d'Alene, Sandpoint and Lewiston, Idaho; as well as in Ontario, Oregon and Spokane, Washington. Don't want to travel? No problem. M&M also offers video conferencing! 2019 Annual Admin Staff Luncheon is happening! We thank you for your continued support and loyalty. Catered by Cafe Zupas! M&M Court Reporting's annual staff luncheon.